The Pacific War Online Encyclopedia: Helfrich, Conrad E.L.
Table of Contents Next: Henderson, George R.
Conrad Helfrich was born in the Netherlands East Indies to a Dutch father and Indonesian mother. He attended the Naval Academy in Holland and participated in the Bali expeditions in 1908. 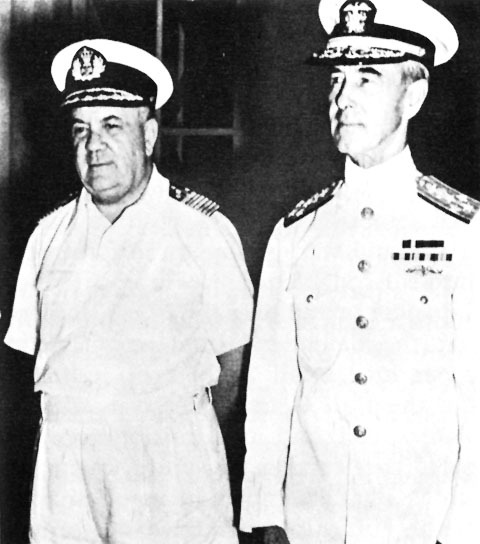 Helfrich was appointed commander of Dutch naval forces in the Netherlands East Indies in October 1939. The modest success of his submarines in the opening days of the Pacific War earned him the nickname "Ship-A-Day Helfrich" in the American press, which was eager for heroes. 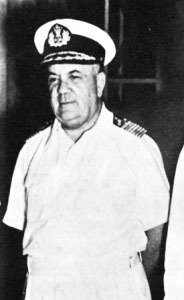 A strong advocate of a unified Allied command in the area, he was disgusted to learn that U.S. Admiral Thomas C. Hart was to be the Allied naval commander. The Britishand Dutch applied political pressure to replace Hart by Helfrich, and Hart was recalled to the United States on the implausible grounds of ill health. Helfrich's first command decision led to the disastrous Battle of the Java Sea, in which the Allied squadron was shot to pieces by a Japanese squadron. The Americans never really understood how much Java meant to the Dutch and were reluctant to sacrifice forces in its defense, and sharply criticized Helfrich after the battle. Helfrich escaped from Java in a Catalina on 2 March 1942 to become commander-in-chief of all Dutch forces in the Far East, a command without forces headquartered at Ceylon, and signed the Japanese instrument of surrender on behalf of the Dutch government.